The Mouse Tower. 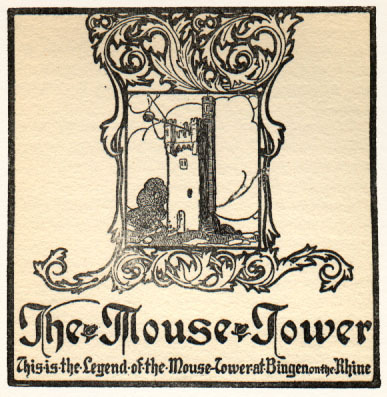 The Mouse Tower. From: Folk Tales From Many Lands. 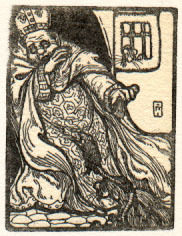 retold by Lilian Gask (1865-). Illustrations by Willy Pogany (1882-1955). New York, T.Y. Crowell & Company  pp. 186-192. ATTO, Bishop of Mayence, was rich and avaricious. Instead of devoting himself to prayer and almsgiving, he thought only of increasing his great wealth, and at a time when numbers of his people could not obtain sufficient food his money-chests were laden with gold. His farms were the most productive in the whole country, and whatever might happen to other folk, he did not seem to suffer. "Take pity, good Bishop, on our hungry wives and little children," they entreated. "They die with hunger while your granaries are full of wheat." "I cannot help that," he said. "You must look after yourselves." And day after day he made them the same answer. "My wheat is far too precious," he said at last, "for me to bestow it on hungry rats!" "You shall have bread to-night," they told their little ones, and the children ceased their wailing. Meanwhile the hungry men and women were thanking God for having softened his heart, and calling down blessings on his name. Every moment they expected to see him enter, but the minutes wore on, and he did not come. One of their number threw open a window that they might have more air, and, as he did so, the Bishop's rage found vent in words. "You have pestered me like rats," he said, "and now you shall die like rats." That night his sleep was broken by queer little sounds, as if rats and mice were scampering over the floor, and nibbling at something they had found. 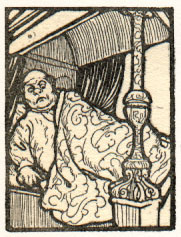 Next morning he was annoyed to find that the splendid portrait of himself in his Bishop's robes, which had been painted by a famous artist at great expense, was lying on the ground, gnawed to shreds. He could see the mark of the rats' sharp teeth on that part of the canvas where his face had been, and in spite of himself he shuddered at the sight. "They are coming in this direction with all speed, my lord!" he said with bated breath, and a panic of terror seized the man who had committed so evil a crime. 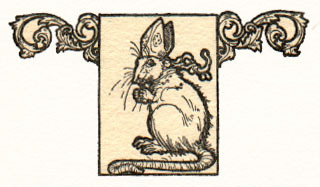 Mounting his horse, he went off at full gallop; but though the brute was fleet, and he spurred him on unmercifully, the Bishop found that the army of rats was gaining upon him. Wild with terror, he hurried down to the riverside, and jumping into a little boat, rowed with all his might towards a tall stone tower built on a rock in the middle of the stream. Entering this with what haste he could, he quickly barred the door, and crouched down in a dusty corner. He was safe, he thought, for a time at least. 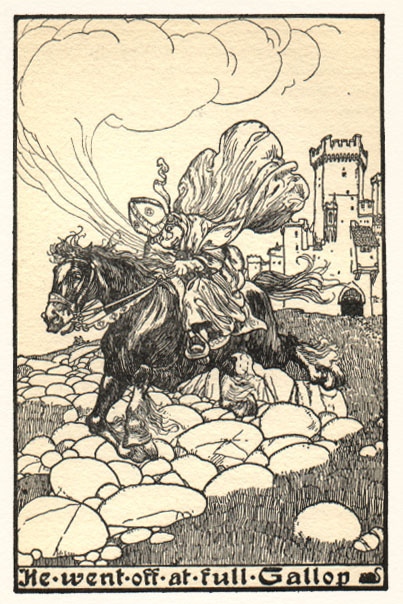 What was his horror presently, on peering through a narrow slit in the stone walls, to see that the rats and mice had devoured his horse, and were now swimming across the river. The current was swift and strong, but they gained the tower, and though he had barred	the window he could hear them climbing up the rough stone wall in all directions. He heard them gnawing at the doors and windows; and the poor starved people whom he had caused to perish did not suffer half what he suffered then. They were in at last, and sprang at him fiercely.... He beat them off by the score; he trampled them under his feet; he tore at them savagely with his hands–all to no purpose; he might just as well have tried to beat back the ocean. The rats surged against him like waves breaking on a cliff, and very soon the Bishop was overwhelmed in the horrid flood. Little was left to tell of the tragedy when his servants plucked up courage to enter the building some days later.